Are you thinking about getting a family pet? Dogs make loyal companions and can be a valuable member of the family. Aside from being fun playmates, canines also teach children lessons about responsibility. Whether you’re considering getting a Fido of your own or just want your kids to be safe around other people’s pets, they should know how to act around a dog. Teach your children to observe some basic dos and don’ts of canine interaction. You wouldn’t like people sticking their hands into your food, so why would a dog? For some, it’s more than just an annoyance. It’s an invasion of their territory. Dogs are pack animals by nature. They follow a natural order. You, as an adult, are an alpha, while dogs may see children as lower in your “pack.” Snapping at the food bowl is a natural reaction to assert dominance. Err on the safe side and never let children disturb a dog while eating, even if they seem comfortable with the interference. Explain to your children that dogs get cranky and need a break, just as they do. Provide a safe place for your dog to sleep and eat where the children can’t interfere, like a crate or gated off room. Help your dog build tolerance by offering a treat every time he or she doesn’t show aggression around the food bowl. 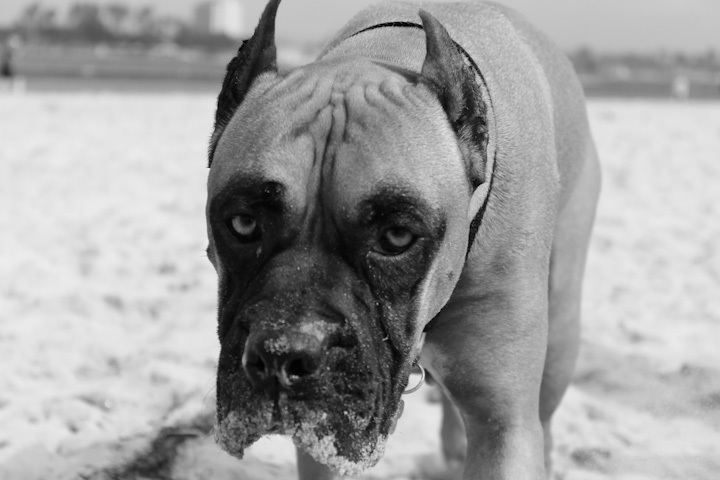 If a dog does growl or snap, issue a reprimand and remove him or her from the situation. Children love to roughhouse, whether it’s a fighting session in the living room or a full contact game of tag. Not all dogs share the same philosophy. While your children may love pulling on Fido’s tail and chasing him around the room, these actions can spike feelings of aggression in a dog. Dogs that don’t feel comfortable in the home won’t make for loyal companions. Most dogs love to play, and your children can get in on the fun! Teach your children how to play fetch with the dog and feed him or her treats. Continue to offer your dog a safe space like a crate to retreat when he or she finishes interacting with people. Make sure your children know never to disturb an animal in his or her space. Some children are naturally fearful of dogs. Their first instinct is to run. This is a mistake. If a dog is showing aggression, it's best to back away slowly rather than run. A dog is more likely to give chase when children run away. When approached by an unfamiliar dog, teach your children to back away slowly. Dogs experience anxiety around new people too. Encourage your children to approach a dog with hands outstretched for the dog to sniff. This gives the dog a sense of reassurance – he or she will either allow your children to pet it or walk away. If a dog growls, teach your children to back away deliberately. Though we’ve bred dogs over generations to be our best friends; those basic instincts run deep. Never underestimate a dog. Though he or she may seem perfectly at ease with children, never let your guard down. Teach your children that interaction with a dog is much like interaction with their peers – they need to share toys, act politely, and respect personal distance. Sometimes children need time-outs from interaction, just as do dogs. Dogs are wonderful parts of a family as long as they’re properly treated. By teaching your children these rules, you’re setting the stage for them to become responsible, loving pet owners. Parents can do everything possible to protect their children from a dog bite, but sometimes it still happens. If your child interacts with a dog that has a tendency to be aggressive and harms your child in the process, there are options. Hiring a dog bite attorney can be a good way to get compensation for medical bills and make sure the negligent dog owner is held responsible.